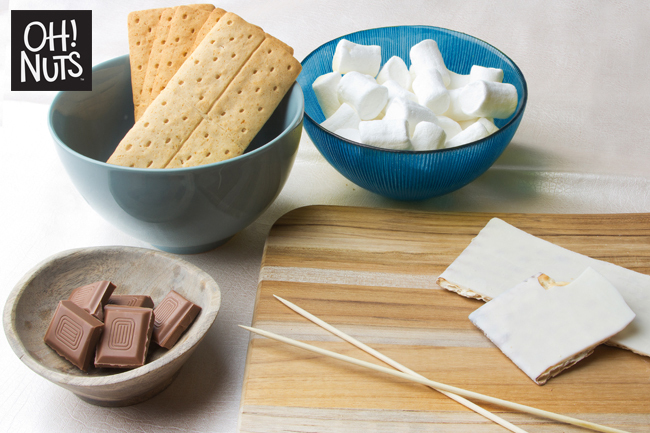 S’mores might be the most delicious treat that everyone loves! It’s easy to make but is always a great hit with both kids and adults alike. 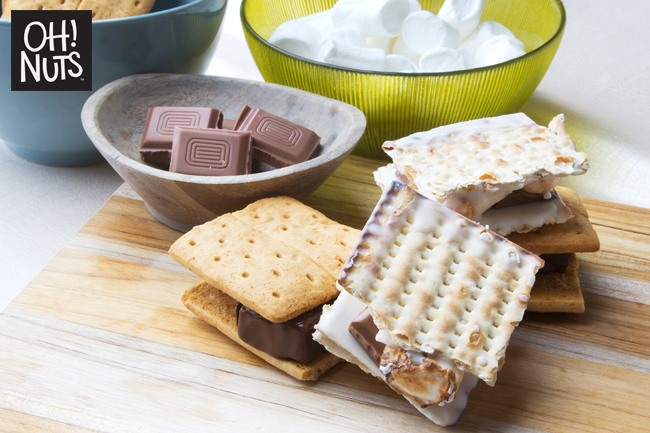 Did you know you can adjust S’mores for Passover! Follow our guide and remember you can get ALL the ingredients for this on our website – so easy! 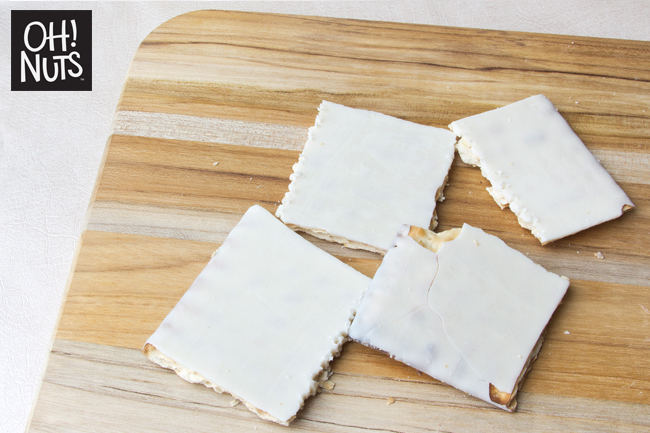 First you want to break the matzos into smaller equal squares. To do so you can score with a knife then break it, or use a sharp knife to cut all the way through the Matzos. Once you have an even number of even squares put aside in a cool dry place so they do not melt. 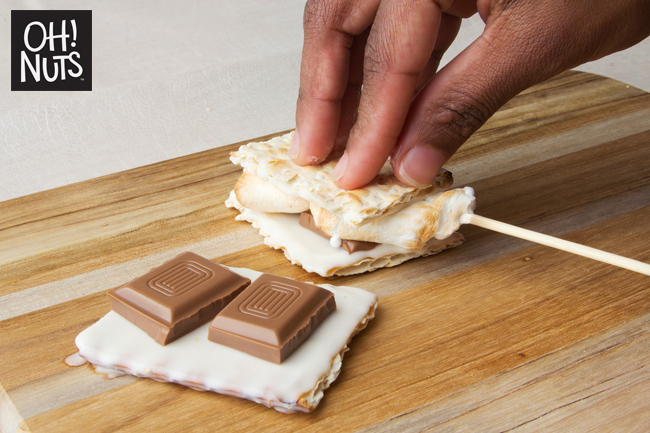 We need an even number of them to use for the top and bottom of the s’more. 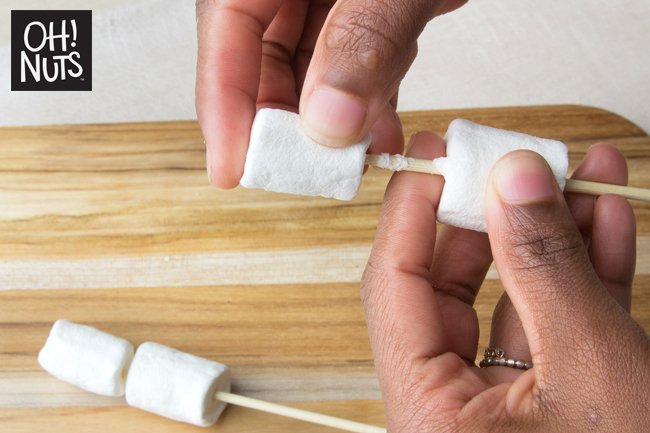 Then you want to get you marshmallows ready by putting them on wooden skewers for toasting. You then want to break up your chocolate bar into workable pieces and also put aside. 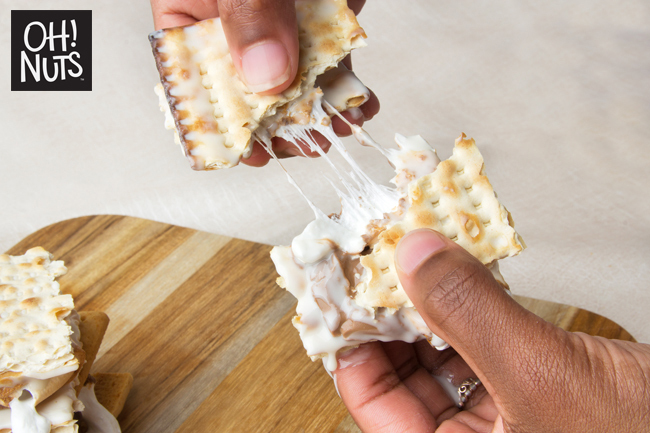 Now you want to get the matzos laid out and lace the chocolate squares on the bottom half. 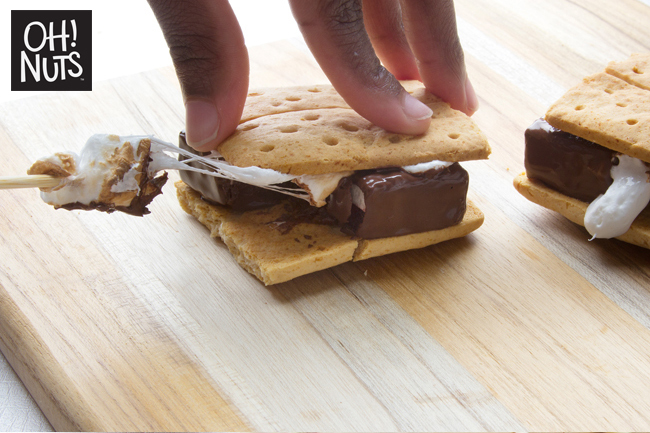 You want to then toast your marshmallow over an open flame, such as your stove. Y While they are hot you want you want to place on top of the chocolate and sandwich with the top matzo while removing the stick. Do this to the rest of them and they are ready to serve. First you want to lay out you ingredients. 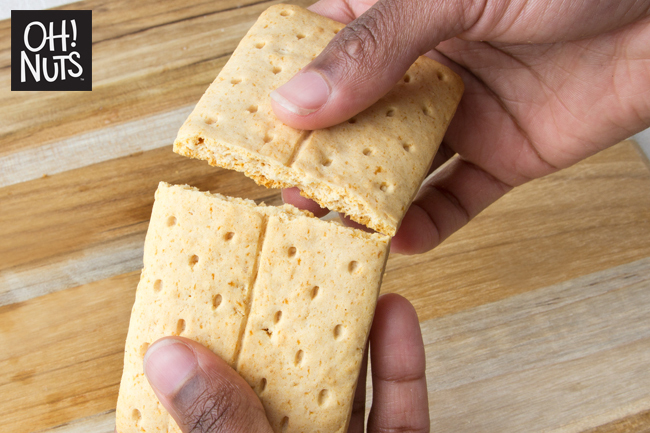 Break your graham crackers into sizable pieces, making sure you have an even amount and place aside. 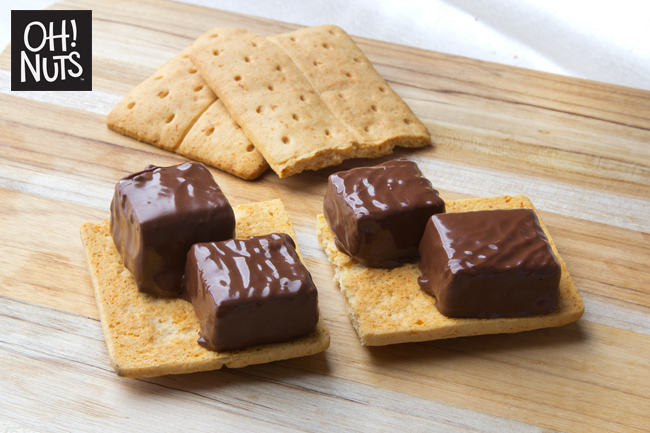 For this smore we used our delicious Jelly marshmallow cubes so you want to put that onto each bottom half of graham cracker. 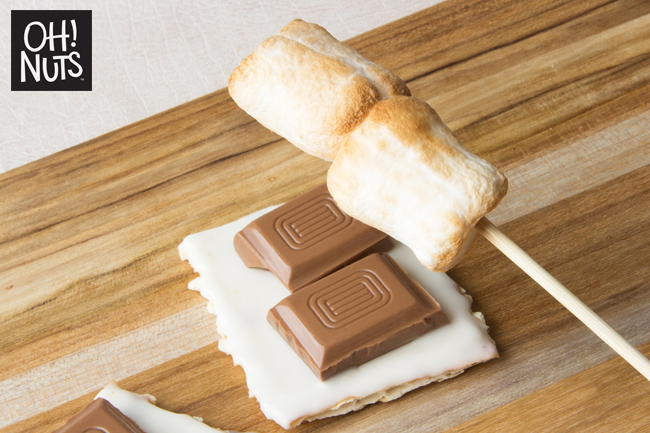 Even though this already has marshmallow since it’s covered in chocolate and isn’t melty and sticky to hold the graham crackers in place you want to skewer some marshmallows and toast them on an open flame, such as your stove. While hot place on the jelly marshmallow cubes and sandwich with the top graham cracker. Repeat steps with the rest of the graham crackers and they are ready to serve. Hope you enjoy our wonderful Oh! Nuts Recipes. Till next time, Have a very sweet day.